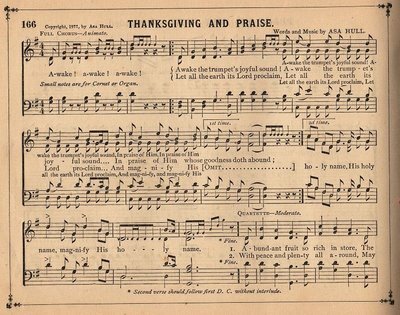 Here’s a nice page of antique sheet music. 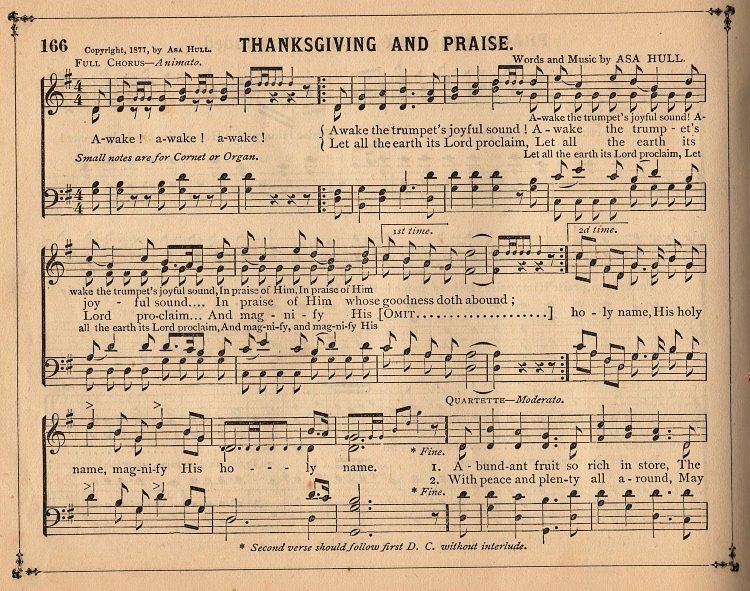 This one would be great to use for Thanksgiving projects, as the title is “Thanksgiving & Praise”. Make sure you click on the graphic in order to see the largest size. 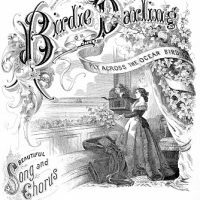 Amazing Ephemera Sheet Music Cover- Bird, Lady, Ocean Harvest Time – Old Sheet Music Vintage Thanksgiving Turkey Postcard – Colorful! A great background for placecards on Thanksgiving. Thanks for the sheet music. 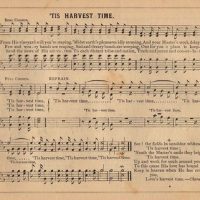 I have one very similar titled “Tis Harvest Time”, made a cute Thanksgiving graphic with it that I’m giving away free on my new blog. Come by and visit. Thanks so much for your free cliparts.When you’re first starting out it’s so hard to pay for everything, I hope as time goes on I can give back too.I appreciate that you seem to care as much as us folks trying to be artists as those that are. Thank You Karen for the Beautiful Sheet Music!